Federal budget 2017: Here are the winners and losers. Federal budget 2017: Winners and losers. Explore who wins and who loses as a result of Scott Morrison’s 2017 budget. The Medicare Levy is set to increase by 0.5 per cent – from 2 to 2.5 per cent of taxable income – to help fund the $22 billion National Disability Insurance Scheme (NDIS) and avoid future budget black holes. If it’s passed by Parliament, the change will kick in on July 1, 2019. The Treasurer says all Australians have a role to play in supporting the disability scheme, even if they aren’t directly affected. The big banks aren’t going to be happy. They’re getting whacked on a number of fronts as the Treasurer works to level the playing field. The biggest is a 0.06 per cent levy – essentially a new tax – that will kick in on July 1. It’ll only affect the five biggest banks – the Commonwealth Bank, Westpac, National Australia Bank, ANZ and Macquarie – and will boost the budget bottom line by $6.2 billion over the forward estimates. The big banks are also facing new rules on providing credit cards and there’ll be a new authority to help consumers with complaints. There’ll be more Commonwealth funding per student, for most schools. The Federal Government will give schools an extra $18.6 billion over 10 years. The Government says it will standardise school funding, but as part of that about two dozen schools will lose Commonwealth funding and about 300 more won’t receive as much as they expected. University fees are on the rise. Students will have to pay an extra $2,000 – $3,600 for a four-year course. That’s a fee increase of 1.8 per cent next year, and 7.5 per cent by 2022. The income level at which you will have to start repaying your HECS debt will also be reduced. Currently, you only have to repay your debt when you earn over $55,000. From July next year, you’ll have to repay it once you hit $42,000. Foreign investors are being slugged with an extra charge for properties left vacant. Foreign property owners are also being stung on their main residence; they’ll now have to pay the capital gains tax when they sell it. And foreign ownership of new developments will be capped at 50 per cent. Parents who don’t vaccinate their children will lose about $28 per child per fortnight. If you lost your pensioner concession card as a result of the assets test change earlier this year, you’ll now have the benefit restored. Sydney is getting a second airport at Badgerys Creek in the city’s west. The Federal Government will build and potentially operate it, which will ease pressure on the existing airport as it quickly runs out capacity. The Federal Government will pour $5.3 billion into the project over the next four years. After decades of lobbying, farmers are finally getting an inland rail network to move their goods quickly and cheaply. There’s also ongoing funding for the Landcare program. The Government has allocated it $1 billion over five years. Despite the wins, there’s no money in the budget to improve mobile reception. Blackspots plague regional and remote parts of the country and are a major safety concern for some. That’s in line with expectations, and maintains what the Government calls a “stable and sustainable” funding growth path. Defence spending is on track to hit 2 per cent of GDP by 2020-21 – three years earlier than the Government promised back in 2013. But Defence consultants and contractors actually lose out – their numbers are set to be cut. Overseas and business travel will also be limited. Operation Sovereign Borders will continue to get the funding it needs to “stop the boats”. That’s flagged to revert back to $1,000 from July 1, 2018, but there’s a possibility it could be extended again. Free-to-air networks will have their annual license fee abolished and replaced with a much smaller yearly payment. It’ll save them about $90 million a year. It’s aimed at levelling the playing field with new media competitors like Facebook, Netflix and Google. Pay TV operators will also have a better chance to bid for major sports, and there’ll be additional funding for the screening of women’s sport. They’ll be able to use voluntary contributions to their superannuation to save for a house deposit. Withdrawals will be taxed at a lower rate, but the amount you can contribute is capped at $15,000 a year and $30,000 all up. Both members of a couple can take advantage of the scheme. Welfare payments are being consolidated and some recipients will be subject to random drug testing. Economists say this may make welfare recipients’ lives more difficult, but ultimately very few will be forced off welfare. Patients’ out-of-pocket expenses should be lower, with the Government lifting the freeze on Medicare rebates and improving the incentives for GPs to bulk bill. Economists say any reduction in the banks profits will ultimately impact the share price and therefore the bank’s shareholders. 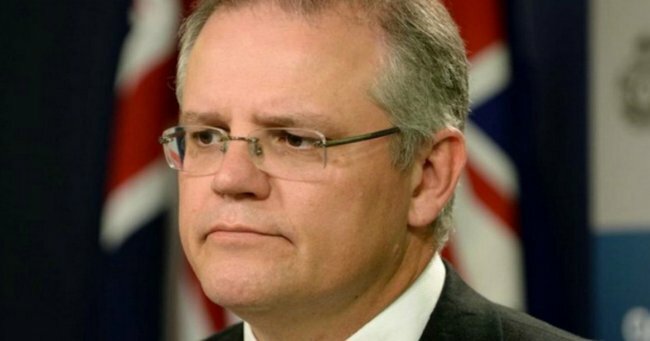 Australia’s foreign aid budget will be frozen for two years from 2018.